Your choice of what you feed your pet is one of the most important decisions, you as a pet parent make. A responsible pet parent not only knows all about their choice of pet food but also knows the benefits their pet is going to reap off it. With the pet food industry evolving by the day, there’s an abundance of nutritional goodness for pets. 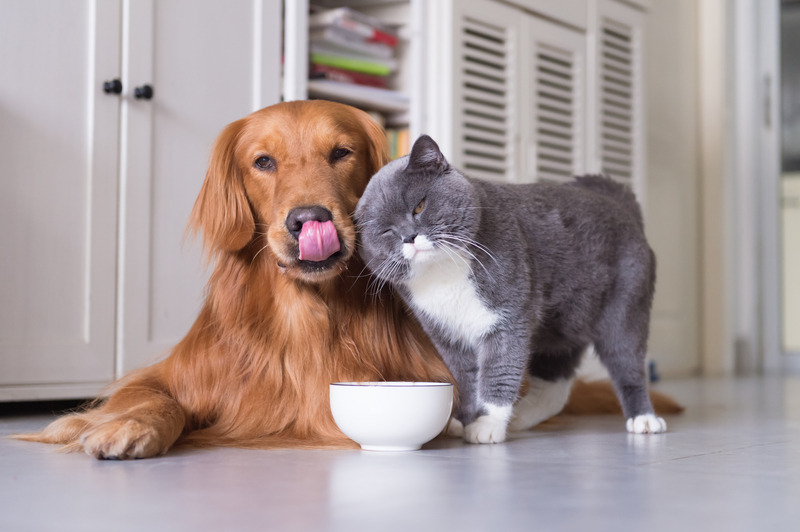 High-quality or premium food is one such element of today’s pet food industry that’s especially garnering the attention of pet parents who will not settle for anything but the best for their pet! The attention entails a bunch of apprehensions along with a lot of curiosity that needs to be addressed. Having said that, here’s a lowdown on why to consider premium pet food! Whether you are a pet parent to a cat or a dog, knowing that each of them come with a set of individual requirements is absolutely essential. Just like that of humans, the nutritional requirements of every pet varies. What may help in the development of one pet may do nothing to another. One of the characteristics of premium pet food is that it features an extensive range across various categories thus providing optimum nutrition to every category. A versatile constitution of amino acids and the highest quality of protein are some factors contributing to the idealness of premium pet food. From drool-worthy (literally!) toppings like prawns and crab, specially procured meat of turkey, salmon, duck, oils from coconuts and canola, to alternatives that make for ideal substitutes for grain free dog food, premium pet food is all about being that personal touch. Hand-picked and carefully curated to benefit every pet eating it, makers of premium pet food go that extra mile in researching for the best. Not to mention, the ingredients are absolutely transparent and there’s nothing hidden! Your quest for fresh food should as well be extended to your choice of pet food. Premium pet food brands boast of nature’s goodness minus any preservatives or artificial flavouring. This makes it a great option for those looking for food for pedigree dogs - given its purity. Looking up a handful of dog food reviews, what comes clear is the inclination of pet parents towards freshness which easily persuades you to join the premium pet food wagon! Can a human baby and a human senior gain the same advantages being fed off the same food? The answer is a straight NO! Likewise, a puppy or kitten differs in nutritional requirement from a senior pet. While the senior ones may need special care of joints, the little ones need the right ones to develop appropriately. Age can also determine the requirement of moist or dry dog food or even cat food for that matter! The best premium dog food is, however, a subjective matter! Last but not least, you could be serving your pet with the most expensive and most nutritive food, but the pet is not showing any signs of the enhancement; worse still it’s causing concerning situations. Allergens in the food, often overlooked, could be the catalyst of that situation! The next time you see your pet whining out of skin irritation don’t rule out the possibility that it’s possibly caused by what you thought was the best supermarket dog food! Thus, we see, how in more ways than one premium food outweighs non-premium feed. Are you serving the best to your pet yet? Click here to see a wide range of premium pet food to help you zero down on your choice!